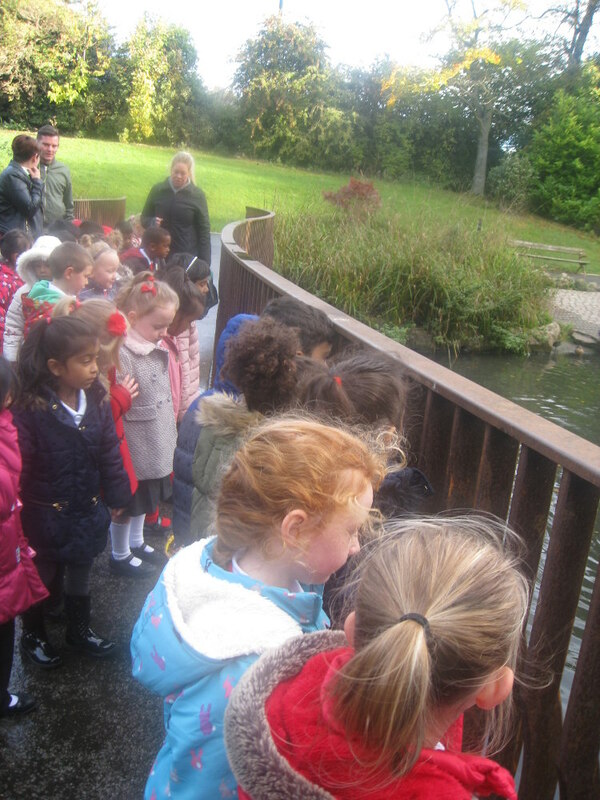 The children looking at the pond at Barnes Park. Reception went to Barnes Park to have a look at how the local environment changes in Autumn. They collected leaves from the ground to bring back to school to make autumn pictures.